[S25] Record of members, -1930. Church of Jesus Christ of Latter-day Saints. Willard Ward, Film Number: 0027407. [S44] 1920 U.S. Federal Census Utah, Salt Lake County, Film Number: 1821864. [S297] Record of members; annual genealogical report, Form E, 1917-1948. Church of Jesus Christ of Latter-day Saints. North Farmington Ward (Utah), Film Number: 0025944. [S298] South Davis Stake Form E 1915-1917. Church of Jesus Christ of Latter-day Saints. Farmington Ward (Utah), Film Number: 0025943. [S301] Annual genealogical report, Form E, 1907-1948. Church of Jesus Christ of Latter-day Saints. 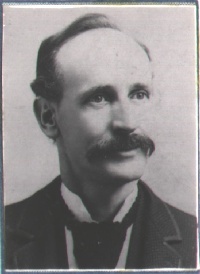 Willard Ward (Utah), Film Number: 0027408. [S311] Endowments of the living, 1893-1956; indexes, 1893-1956. Vol. G 13 May 1929-26 Feb 1941. Church of Jesus Christ of Latter-day Saints. Salt Lake Temple, Film Number: 0184081. [S321] Sealings of living couples, 1893-1956. Vol. E 4 Sep 1929-30 Dec 1939, Vol. F 1 Jan 1940-28 Feb 1941. Church of Jesus Christ of Latter-day Saints. Salt Lake Temple, Film Number: 0186211. [S826] LDS Individual Ordinance Summary. [S62] Certificate of Death - Lila Gull. [S44] 1920 U.S. Federal Census Utah, Salt Lake County, Film Number: 1821864, Month, Year, State Verified. [S301] Annual genealogical report, Form E, 1907-1948. Church of Jesus Christ of Latter-day Saints. Willard Ward (Utah), Film Number: 0027408, Date Verified. [S297] Record of members; annual genealogical report, Form E, 1917-1948. Church of Jesus Christ of Latter-day Saints. North Farmington Ward (Utah), Film Number: 0025944, Date, Memo Verified. [S25] Record of members, -1930. Church of Jesus Christ of Latter-day Saints. Willard Ward, Film Number: 0027407, Date, Memo Verified. [S311] Endowments of the living, 1893-1956; indexes, 1893-1956. Vol. G 13 May 1929-26 Feb 1941. Church of Jesus Christ of Latter-day Saints. Salt Lake Temple, Film Number: 0184081, Date Verified. [S826] LDS Individual Ordinance Summary, Date Verified. [S59] Patriarchal Blessing - Lila Gull. [S330] Obituary - Dora S. Gull, Deseret News, 11 Nov 1986. [S210] Deceased membership records, 1941-1977. 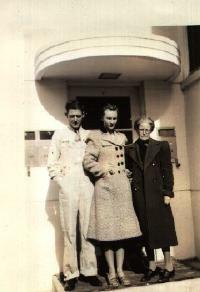 Nelson, James Samuel - Nethercott, Leah Rae (Roll258), Film Number: 0884257, First Name, Last Name Verified. [S216] 1920 U.S. Federal Census Utah, Box Elder County, Film Number: 1821861, First Name, Middle Initial Verified. [S220] 1900 U.S. Federal Census Utah, Box Elder County, Film Number: 1241682, First Name, Middle Initial, Last Name Verified. [S221] 1910 U.S. Federal Census Utah, Box Elder County, Film Number: 1375615, First Name, Last Initial Verified. [S312] Endowments of the living, 1893-1056; indexes, 1893-1956. Index to vol. F; vol. F 3 Sep 1913-12 Jan 1921. Church of Jesus Christ of Latter-day Saints. Salt Lake Temple, Film Number: 0184077. [S313] Applications for licenses to marry, and original marriage certificates, 1888-1947. Applications and certificates # 5101-5500 1910-1943. Weber County (Utah). County Clerk, Film Number: 1670874, First Name, Middle Initial, Last Name Verified. [S326] Sealings of children to parents, 1893-1942; heir indexes, 1893-1942. Vol. M 26 Jun 1913. Church of Jesus Christ of Latter-day Saints. Salt Lake Temple, Film Number: 1239616 Item 2. [S454] Funeral Program - Carma Nelson Simper. [S221] 1910 U.S. Federal Census Utah, Box Elder County, Film Number: 1375615. [S307] Obituary - Clarence P. (Pete) Baird, 29 Jan 1946, Deseret News. [S220] 1900 U.S. Federal Census Utah, Box Elder County, Film Number: 1241682, Month, Year, State Verified. [S313] Applications for licenses to marry, and original marriage certificates, 1888-1947. Applications and certificates # 5101-5500 1910-1943. Weber County (Utah). County Clerk, Film Number: 1670874, Year Verified. [S312] Endowments of the living, 1893-1056; indexes, 1893-1956. Index to vol. F; vol. F 3 Sep 1913-12 Jan 1921. Church of Jesus Christ of Latter-day Saints. Salt Lake Temple, Film Number: 0184077, Date Verified. [S220] 1900 U.S. Federal Census Utah, Box Elder County, Film Number: 1241682. [S313] Applications for licenses to marry, and original marriage certificates, 1888-1947. Applications and certificates # 5101-5500 1910-1943. Weber County (Utah). County Clerk, Film Number: 1670874. [S25] Record of members, -1930. Church of Jesus Christ of Latter-day Saints. Willard Ward, Film Number: 0027407, First Initial, Middle Name, Last Name Verified. [S44] 1920 U.S. Federal Census Utah, Salt Lake County, Film Number: 1821864, First Initial, Middle Name, Last Name Verified. [S183] Salt Lake City (Utah) city directories. 1920-1921 R.L. Polk and Co.'s Salt Lake City directory... by R.L. Polk, Film Number: 1612164, First Name, Middle Initial, Last Name Verified. [S213] 1920 U.S. Federal Census Utah, Millard County, Film Number: 1241683, First Initial, Middle Name, Last Name Verified. [S268] Cemetery Records of Meadow, Millard, Utah. [S301] Annual genealogical report, Form E, 1907-1948. Church of Jesus Christ of Latter-day Saints. 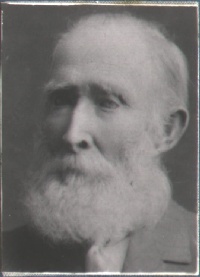 Willard Ward (Utah), Film Number: 0027408, Middle Name, Last Name Verified. [S302] Record of members, -1941; annual genealogical report, Form E, 1907-1948. Church of Jesus Christ of Latter-day Saints. Meadow Ward (Utah), Film Number: 0026174. [S314] Statewide marriage index, 1900-1939, 1975-1992. Grill, Henry S. - Hahn, John. Colorado. Department of Health, Film Number: 1690083, First Initial, Middle Name, Last Name Verified. [S331] 1910 U.S. Federal Census Utah, Millard County, Film Number: 1375617, First Initial, Middle Name, Last Name Verified. [S406] International Genealogical Index (Ordinance Index). [S826] LDS Individual Ordinance Summary, First Initial, Middle Name, Last Name Verified. [S183] Salt Lake City (Utah) city directories. 1920-1921 R.L. Polk and Co.'s Salt Lake City directory... by R.L. Polk, Film Number: 1612164. [S314] Statewide marriage index, 1900-1939, 1975-1992. Grill, Henry S. - Hahn, John. Colorado. Department of Health, Film Number: 1690083. [S44] 1920 U.S. Federal Census Utah, Salt Lake County, Film Number: 1821864, Year, State Verified. [S213] 1920 U.S. Federal Census Utah, Millard County, Film Number: 1241683, Month, Year, State Verified. [S268] Cemetery Records of Meadow, Millard, Utah, Date Verified. [S331] 1910 U.S. Federal Census Utah, Millard County, Film Number: 1375617, Year, State Verified. [S25] Record of members, -1930. Church of Jesus Christ of Latter-day Saints. Willard Ward, Film Number: 0027407, Date, H.G. Sabin Verified. [S297] Record of members; annual genealogical report, Form E, 1917-1948. Church of Jesus Christ of Latter-day Saints. North Farmington Ward (Utah), Film Number: 0025944, Date, James M. Stewart Verified. [S302] Record of members, -1941; annual genealogical report, Form E, 1907-1948. Church of Jesus Christ of Latter-day Saints. Meadow Ward (Utah), Film Number: 0026174, Date, James M. Stewart Verified. [S406] International Genealogical Index (Ordinance Index), Date Verified. [S25] Record of members, -1930. Church of Jesus Christ of Latter-day Saints. Willard Ward, Film Number: 0027407, Date, James M. Stewart Verified. [S302] Record of members, -1941; annual genealogical report, Form E, 1907-1948. Church of Jesus Christ of Latter-day Saints. Meadow Ward (Utah), Film Number: 0026174, Date, H.G. Labrum Verified. [S297] Record of members; annual genealogical report, Form E, 1917-1948. Church of Jesus Christ of Latter-day Saints. North Farmington Ward (Utah), Film Number: 0025944, Date, H.G. Labrum Verified. [S213] 1920 U.S. Federal Census Utah, Millard County, Film Number: 1241683. [S331] 1910 U.S. Federal Census Utah, Millard County, Film Number: 1375617. [S301] Annual genealogical report, Form E, 1907-1948. Church of Jesus Christ of Latter-day Saints. Willard Ward (Utah), Film Number: 0027408, Date, Memo Verified. [S330] Obituary - Dora S. Gull, Deseret News, 11 Nov 1986, Date Verified. [S268] Cemetery Records of Meadow, Millard, Utah, Place Verified. [S208] 1880 U.S. Federal Census Utah, Box Elder County, Film Number: 1255335, First Name, Middle Initial, Last Name Verified. [S221] 1910 U.S. Federal Census Utah, Box Elder County, Film Number: 1375615, First Name, Middle Initial, Last Name Verified. [S306] Obituary - Pearl A.B.B. Norton, Deseret News, 24 Jul 1957, First Name, Middle Initial, Last Name Verified. 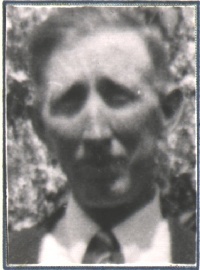 [S862] Willard, Box Elder County, Utah Cemetery Records, 1941, Hannah Brunker Nicholas, Genealogical Society of Utah, 979.242/W1 V3n. [S27] Cemetery records. Willard City Cemetery (Box Elder, Utah), Film Number: 0599701 Item 3. [S220] 1900 U.S. Federal Census Utah, Box Elder County, Film Number: 1241682, Month, Year, Country Verified. [S862] Willard, Box Elder County, Utah Cemetery Records, 1941, Hannah Brunker Nicholas, Genealogical Society of Utah, 979.242/W1 V3n, Date, Country Verified. [S220] 1900 U.S. Federal Census Utah, Box Elder County, Film Number: 1241682, Year Verified. [S221] 1910 U.S. Federal Census Utah, Box Elder County, Film Number: 1375615, Year Verified. [S208] 1880 U.S. Federal Census Utah, Box Elder County, Film Number: 1255335. [S862] Willard, Box Elder County, Utah Cemetery Records, 1941, Hannah Brunker Nicholas, Genealogical Society of Utah, 979.242/W1 V3n, Date Verified. [S27] Cemetery records. Willard City Cemetery (Box Elder, Utah), Film Number: 0599701 Item 3, Place Verified. 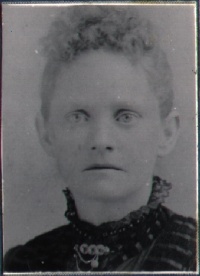 [S862] Willard, Box Elder County, Utah Cemetery Records, 1941, Hannah Brunker Nicholas, Genealogical Society of Utah, 979.242/W1 V3n, Place Verified. [S207] 1880 U.S. Federal Census Utah, Wasatch County, Film Number: 1255339, First Name, Middle Initial, Last Name Verified. [S261] Obituary - Ann Gwenthlyn Davis, First Name, Middle Initial Verified. [S27] Cemetery records. Willard City Cemetery (Box Elder, Utah), Film Number: 0599701 Item 3, First Name, "Gwen", Last Name Verified. [S341] Obituary - Henry Bell Baird. [S25] Record of members, -1930. Church of Jesus Christ of Latter-day Saints. Willard Ward, Film Number: 0027407, Place and Memo Verified. [S25] Record of members, -1930. Church of Jesus Christ of Latter-day Saints. Willard Ward, Film Number: 0027407, Date Verified. 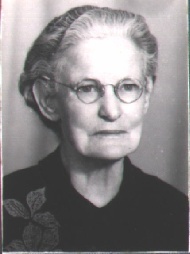 [S862] Willard, Box Elder County, Utah Cemetery Records, 1941, Hannah Brunker Nicholas, Genealogical Society of Utah, 979.242/W1 V3n, First Name, Middle Initial, Last Name Verified. [S25] Record of members, -1930. Church of Jesus Christ of Latter-day Saints. Willard Ward, Film Number: 0027407, Place Verified. [S862] Willard, Box Elder County, Utah Cemetery Records, 1941, Hannah Brunker Nicholas, Genealogical Society of Utah, 979.242/W1 V3n, Month, Year, City Verified. [S307] Obituary - Clarence P. (Pete) Baird, 29 Jan 1946, Deseret News, First Name, Middle Initial, Last Name Verified. [S24] Marriage records, 1887-1965. Marriage licenses, (1946) nos. 108001-108800, Salt Lake County (Utah). County Clerk, Film Number: 0429196, Page: 108672, First Name, Last Name Verified. [S34] 1920 U.S. Federal Census Utah, Weber County, Film Number: 1821869, First Name, Middle Initial Verified. [S200] Endowments of the living, 1893-1956; Vol. F 12 Jan 1921-10 May 1929. Church of Jesus Christ of Latter-day Saints. Salt Lake Temple, Film Number: 0184078, First Name, Last Name Verified. [S221] 1910 U.S. Federal Census Utah, Box Elder County, Film Number: 1375615, First Name, Last Name Verified. [S307] Obituary - Clarence P. (Pete) Baird, 29 Jan 1946, Deseret News, First Name, Last Name Verified. [S316] Applications for licenses to marry, and original marriage certificates, 1888-1947. Applications and certificates # 7601-8100 1914-1945. Weber County (Utah). County Clerk, Film Number: 1670880, First Name, Middle Initial, Last Name Verified. 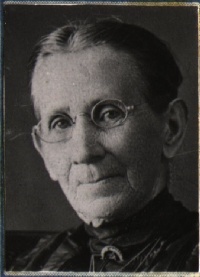 [S862] Willard, Box Elder County, Utah Cemetery Records, 1941, Hannah Brunker Nicholas, Genealogical Society of Utah, 979.242/W1 V3n, First Name, Last Name Verified. [S34] 1920 U.S. Federal Census Utah, Weber County, Film Number: 1821869, Year, State Verified. [S200] Endowments of the living, 1893-1956; Vol. F 12 Jan 1921-10 May 1929. Church of Jesus Christ of Latter-day Saints. Salt Lake Temple, Film Number: 0184078. [S306] Obituary - Pearl A.B.B. Norton, Deseret News, 24 Jul 1957. [S316] Applications for licenses to marry, and original marriage certificates, 1888-1947. Applications and certificates # 7601-8100 1914-1945. Weber County (Utah). County Clerk, Film Number: 1670880, Year Verified. [S324] Sealings of living couples, 1893-1956. Vol. D 3 Sep 1913-28 Feb 1941. Church of Jesus Christ of Latter-day Saints. Salt Lake Temple, Film Number: 1239566. [S200] Endowments of the living, 1893-1956; Vol. F 12 Jan 1921-10 May 1929. Church of Jesus Christ of Latter-day Saints. Salt Lake Temple, Film Number: 0184078, Date Verified. [S316] Applications for licenses to marry, and original marriage certificates, 1888-1947. Applications and certificates # 7601-8100 1914-1945. Weber County (Utah). County Clerk, Film Number: 1670880. [S34] 1920 U.S. Federal Census Utah, Weber County, Film Number: 1821869. [S406] International Genealogical Index (Ordinance Index), Date, Place Verified. [S306] Obituary - Pearl A.B.B. Norton, Deseret News, 24 Jul 1957, Date, Place Verified. [S28] Endowments of the living, 1893-1956; indexes, 1893-1956. Vol. E 3 Sep 1913-9 Jun 1930. Church of Jesus Christ of Latter-day Saints. Salt Lake Temple, Film Number: 0184072. [S29] Sealings of living couples, 1893-1956. Vol. D 3 Sep 1913-28 Dec 1923. Church of Jesus Christ of Latter-day Saints. Salt Lake Temple, Film Number: 1239568 Item 2. [S28] Endowments of the living, 1893-1956; indexes, 1893-1956. Vol. E 3 Sep 1913-9 Jun 1930. Church of Jesus Christ of Latter-day Saints. Salt Lake Temple, Film Number: 0184072, Date Verified. [S221] 1910 U.S. Federal Census Utah, Box Elder County, Film Number: 1375615, Operator Verified. [S342] Obituary - Richard Earl Baird. [S38] Social Security Death Index, First Name, Last Name Verified. [S38] Social Security Death Index. [S38] Social Security Death Index, Date Verified. [S38] Social Security Death Index, First Name Verified. [S518] Ancestral File, Year, City Verified. [S518] Ancestral File, Place Verified. [S129] 1880 U.S. Federal Census Utah, Millard County, Film Number: 1255336. [S222] Record of members, 1892-1941; annual genealogical report, Form E, 1907-1948. Church of Jesus Christ of Latter-day Saints. Benjamin Ward (Utah), Film Number: 0025834. [S259] Census returns for Capel-St. Mary, 1841, Film Number: 0474642. [S270] Census returns for Capel-St. Mary, 1841-1891, Great Britain. Census Office, Film Number: 0207447. [S276] Census returns for Holbrook, 1841-1891. Great Britain. Census Office, Film Number: 0542765. [S279] 1870 U.S. Federal Census Utah, Millard County, Film Number: 0553110. [S44] 1920 U.S. Federal Census Utah, Salt Lake County, Film Number: 1821864, Country Verified. [S129] 1880 U.S. Federal Census Utah, Millard County, Film Number: 1255336, Year, Country Verified. [S213] 1920 U.S. Federal Census Utah, Millard County, Film Number: 1241683, Month, Year, Country Verified. [S219] 1900 U.S. Federal Census Utah, Utah County, Film Number: 1241687, Country Verified. [S259] Census returns for Capel-St. Mary, 1841, Film Number: 0474642, Year, County Verified. [S270] Census returns for Capel-St. Mary, 1841-1891, Great Britain. Census Office, Film Number: 0207447, Year, City Verified. [S276] Census returns for Holbrook, 1841-1891. Great Britain. Census Office, Film Number: 0542765, Year, City Verified. [S279] 1870 U.S. Federal Census Utah, Millard County, Film Number: 0553110, Year, Country Verified. [S331] 1910 U.S. Federal Census Utah, Millard County, Film Number: 1375617, Year, Country Verified. [S450] Mormon Immigration Index, Year Verified. [S213] 1920 U.S. Federal Census Utah, Millard County, Film Number: 1241683, Year Verified. [S331] 1910 U.S. Federal Census Utah, Millard County, Film Number: 1375617, Year Verified. [S129] 1880 U.S. Federal Census Utah, Millard County, Film Number: 1255336, First Name Verified. [S209] 1920 U.S. Federal Census Utah, Millard County, Film Number: 1821863, First Name Verified. [S213] 1920 U.S. Federal Census Utah, Millard County, Film Number: 1241683, First Name Verified. [S271] Census returns for Taunton, 1841-1891. Great Britain. Census Office, Film Number: 0221080. [S279] 1870 U.S. Federal Census Utah, Millard County, Film Number: 0553110, First Name Verified. [S331] 1910 U.S. Federal Census Utah, Millard County, Film Number: 1375617, First Name Verified. [S344] Record of members, 1854-1878. Church of Jesus Christ of Latter-day Saints. Taunton Branch, Film Number: 0087036 Item 2-3. [S209] 1920 U.S. Federal Census Utah, Millard County, Film Number: 1821863. [S271] Census returns for Taunton, 1841-1891. Great Britain. Census Office, Film Number: 0221080, Year, City Verified. [S129] 1880 U.S. Federal Census Utah, Millard County, Film Number: 1255336, First Name, Middle Initial, Last Name Verified. [S331] 1910 U.S. Federal Census Utah, Millard County, Film Number: 1375617, First Name, Middle Initial, Last Name Verified. [S129] 1880 U.S. Federal Census Utah, Millard County, Film Number: 1255336, Year, State Verified. [S279] 1870 U.S. Federal Census Utah, Millard County, Film Number: 0553110, Month, Year, State Verified. [S268] Cemetery Records of Meadow, Millard, Utah, First Name, Middle Initial, Last Name Verified. [S209] 1920 U.S. Federal Census Utah, Millard County, Film Number: 1821863, Year, State Verified. [S593] Obituary of Myrle J. Gull. [S213] 1920 U.S. Federal Census Utah, Millard County, Film Number: 1241683, First Name, Middle Initial, Last Name Verified. [S44] 1920 U.S. Federal Census Utah, Salt Lake County, Film Number: 1821864, First Name, Middle Initial, Last Name Verified. [S44] 1920 U.S. Federal Census Utah, Salt Lake County, Film Number: 1821864, Farmer Verified. [S213] 1920 U.S. Federal Census Utah, Millard County, Film Number: 1241683, Farmer Verified. [S331] 1910 U.S. Federal Census Utah, Millard County, Film Number: 1375617, Laborer Verified. [S129] 1880 U.S. Federal Census Utah, Millard County, Film Number: 1255336, Month, Year, State Verified. [S727] Unknown title, 15 Apr 2005, Deseret Morning News. [S205] Salt Lake City (Utah) city directories. 1914-1915 R.L. Polk and Co.'s Salt Lake City directory, Film Number: 1612161, First Initial, Middle Name, Last Name Verified. [S205] Salt Lake City (Utah) city directories. 1914-1915 R.L. Polk and Co.'s Salt Lake City directory, Film Number: 1612161. [S400] 1880 U.S. Federal Census Utah, Box Elder County, Film Number: 1255335. [S25] Record of members, -1930. Church of Jesus Christ of Latter-day Saints. Willard Ward, Film Number: 0027407, Country Verified. [S27] Cemetery records. Willard City Cemetery (Box Elder, Utah), Film Number: 0599701 Item 3, Date and Country Verified. [S400] 1880 U.S. Federal Census Utah, Box Elder County, Film Number: 1255335, First Name Verified. [S27] Cemetery records. Willard City Cemetery (Box Elder, Utah), Film Number: 0599701 Item 3, Year and Country Verified. [S207] 1880 U.S. Federal Census Utah, Wasatch County, Film Number: 1255339, Country Verified. [S220] 1900 U.S. Federal Census Utah, Box Elder County, Film Number: 1241682, Country Verified. [S221] 1910 U.S. Federal Census Utah, Box Elder County, Film Number: 1375615, Country Verified. [S400] 1880 U.S. Federal Census Utah, Box Elder County, Film Number: 1255335, Year, Country Verified. [S862] Willard, Box Elder County, Utah Cemetery Records, 1941, Hannah Brunker Nicholas, Genealogical Society of Utah, 979.242/W1 V3n, Year, Country Verified. [S514] 1850 U.S. Federal Census Missouri, St. Louis County, Film Number: 0443626. [S400] 1880 U.S. Federal Census Utah, Box Elder County, Film Number: 1255335, Railroad Verified. [S514] 1850 U.S. Federal Census Missouri, St. Louis County, Film Number: 0443626, Spinner Verified. [S514] 1850 U.S. Federal Census Missouri, St. Louis County, Film Number: 0443626, Year, Country Verified.